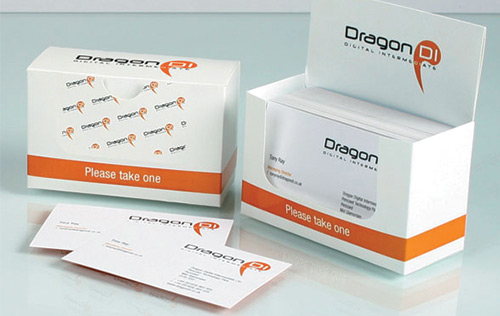 We can design and produce bespoke Business Card Boxes. These are excellent for boxing in house Business Cards or for use as small gift boxes at conferences, exhibitions etc. FAST – We can design and print Boxes in a few days, if not hours.